I just came across a strange Data Protector User Interface error. 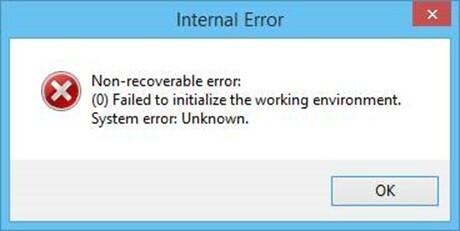 After a fresh installation the DP GUI reported the following error during first start. Failed to initialize the working environment. The debug.log created in the home directory of the user had the following error in it that pointed to the source of the error, wrong permissions on the OpenView registry key. Using regedit I discovered other HP software products sharing the same Hewlett-Packard registry key. It seems that HP ProtectTools Security Manager was installed first and created the key Hewlett-Packard with some strange permissions and ownership. The result was nobody was able to open the OpenView key and all elements below. 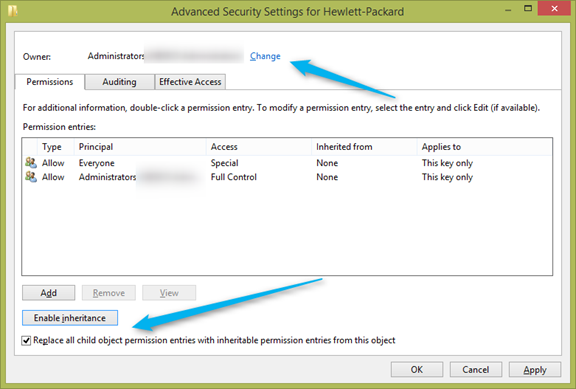 I had to change the owner of the key Hewlett-Packard from Administrators to SYSTEM, enabled inheritance and selected replace all child object permissions. As a security measure, I reinstalled the GUI and now everything was working as expected. This happened with HP ProtectTools Security Manager 8.0.3.1345 (sp63727.exe) running Windows 8.1 installed on a HP ProBook 6570b.